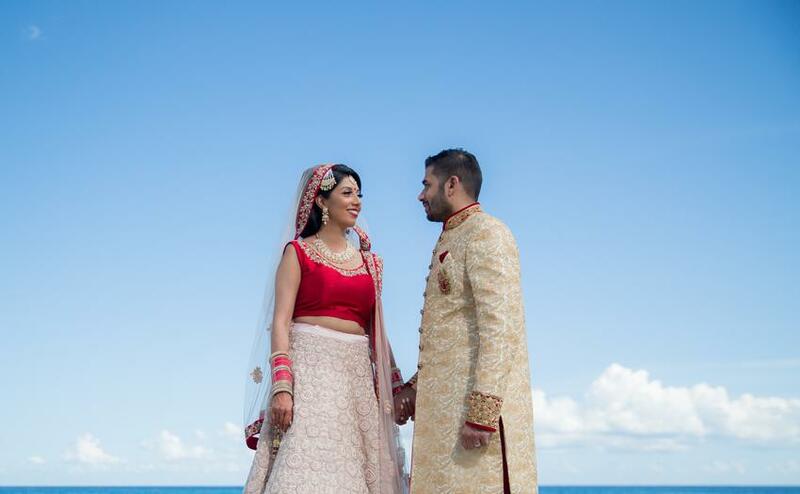 Beaches are an ideal getaway for couples. 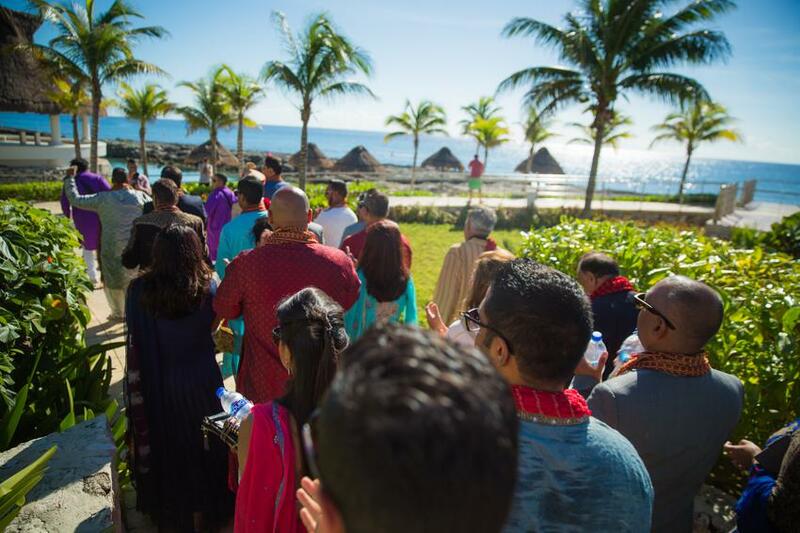 To add that extra colour to the ceremony, beach venues are an ideal pick. 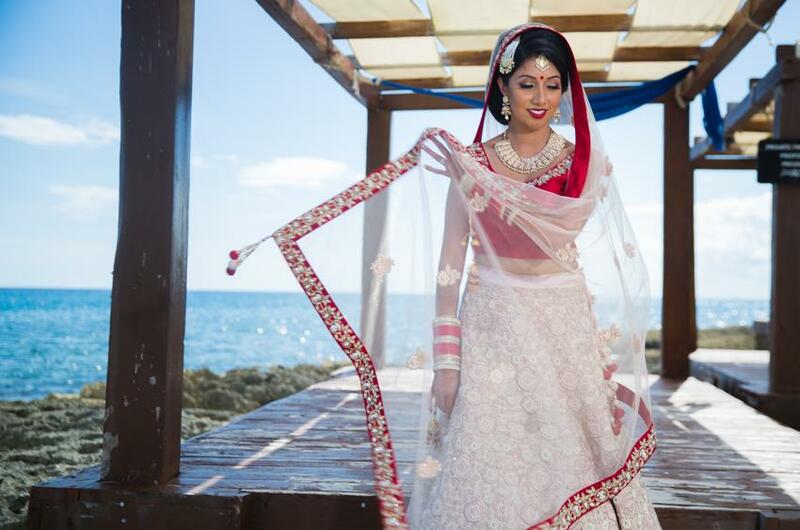 In the recent years, Indian Beach Weddings are a growing trend. 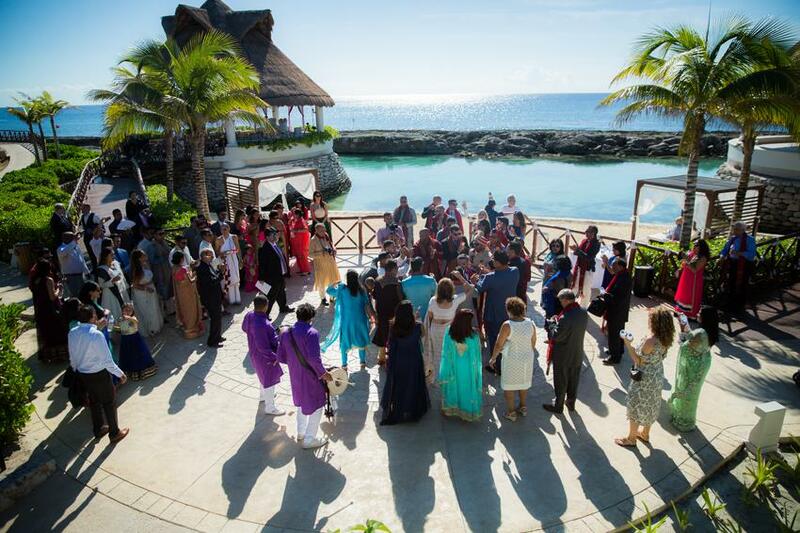 Beach weddings in Mexico or Caribbean are popular with couples who firmly believe in intimate weddings. 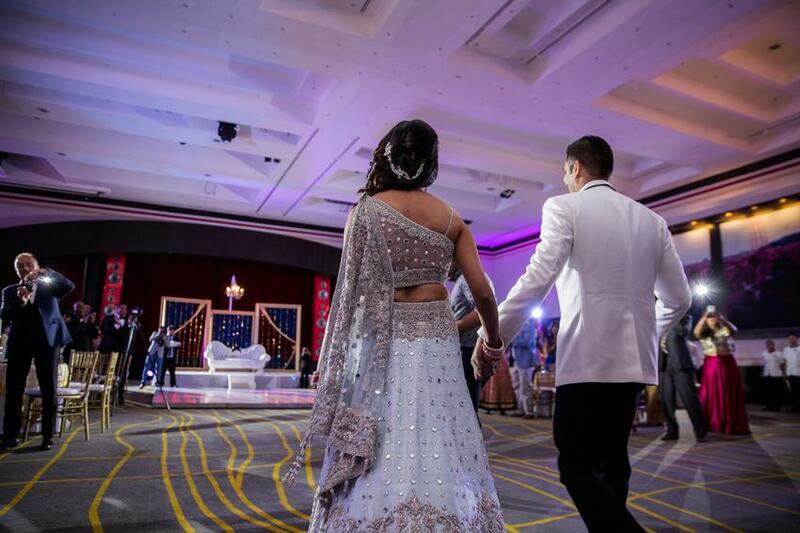 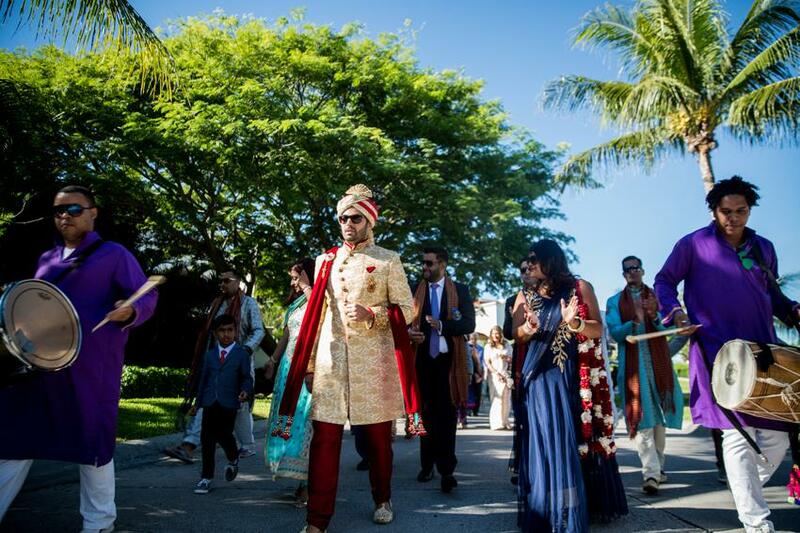 Indian Weddings are known to have an average of 300 to 400 guests. 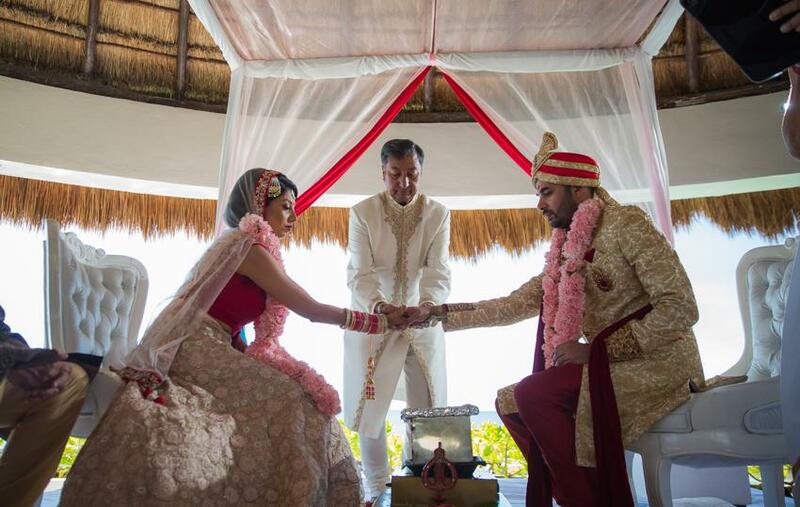 Thereby couples who are all for intimate weddings, prefer destination weddings. 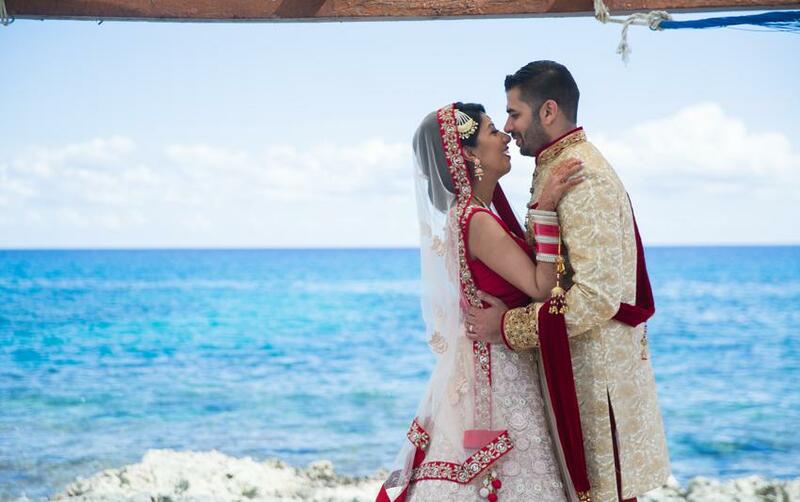 Destination weddings are great as you get to spend a lot of time with your guests. 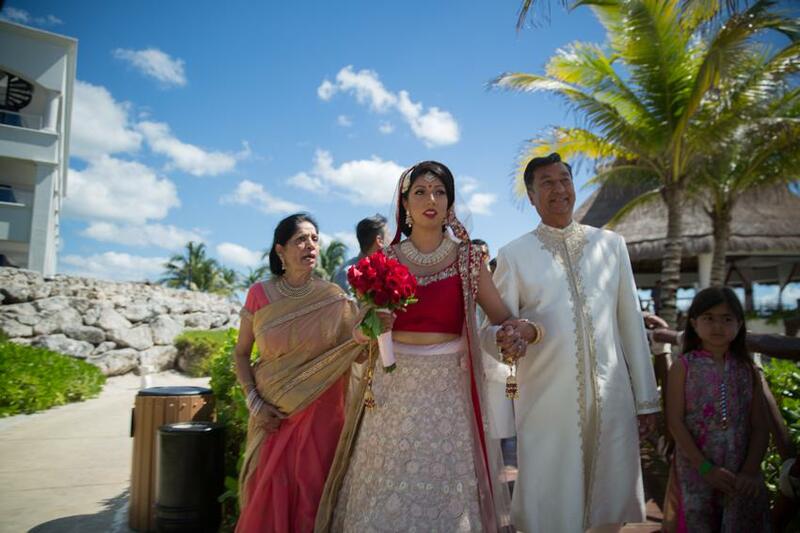 Last year, we had yet another opportunity to photograph an Indian Beach Wedding at Hard Rock Hotel Rivera Maya, Mexico. 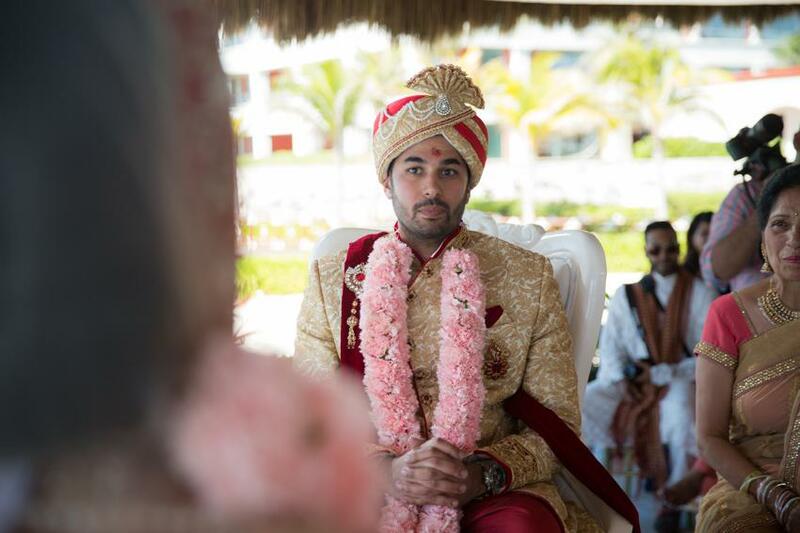 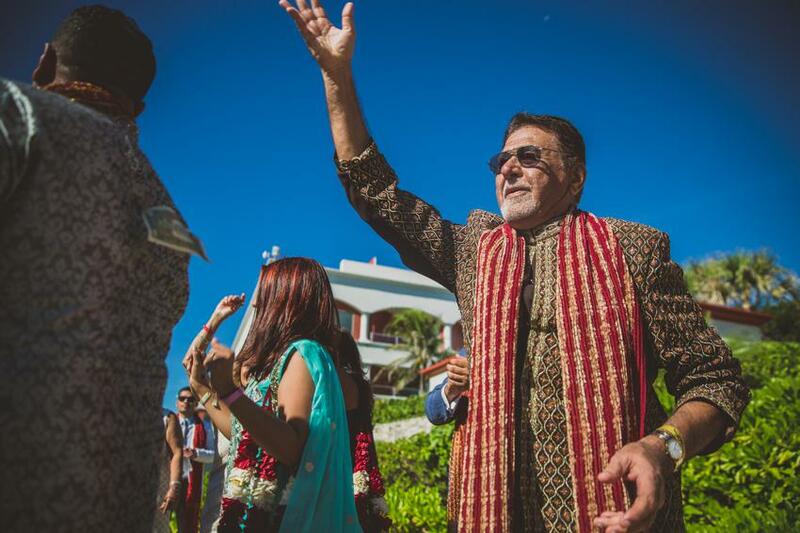 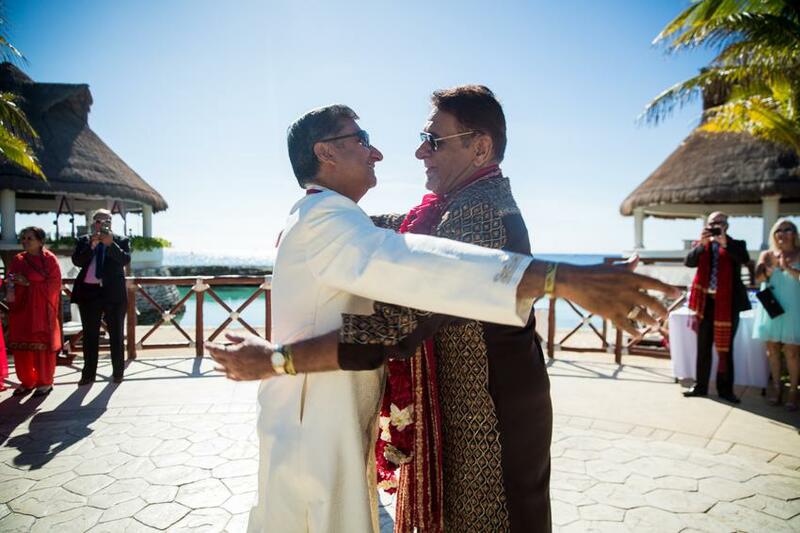 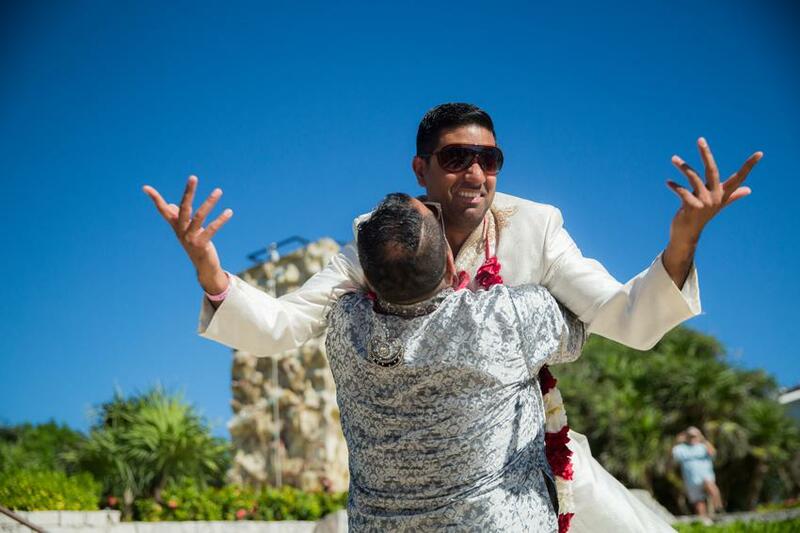 Roop and Vishal decided to get married on the sandy beaches of Mexico. 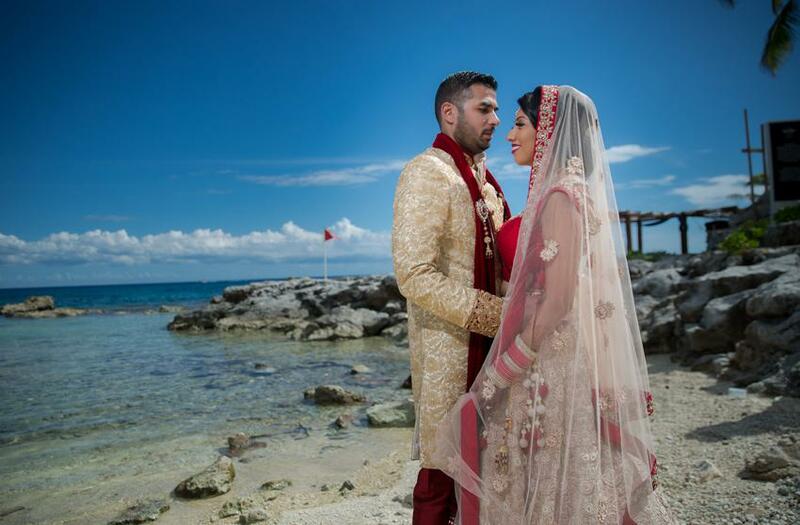 For Canadians, sandy beaches are a treat. 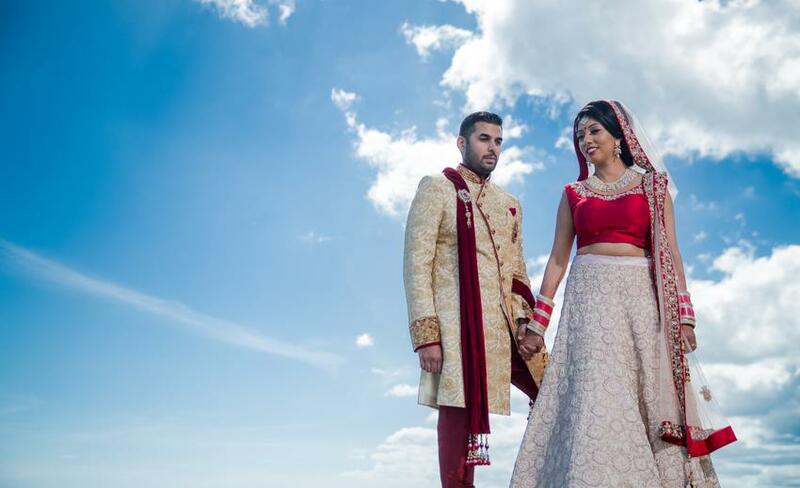 Canadian wedding season typically begins in May and ends in September. 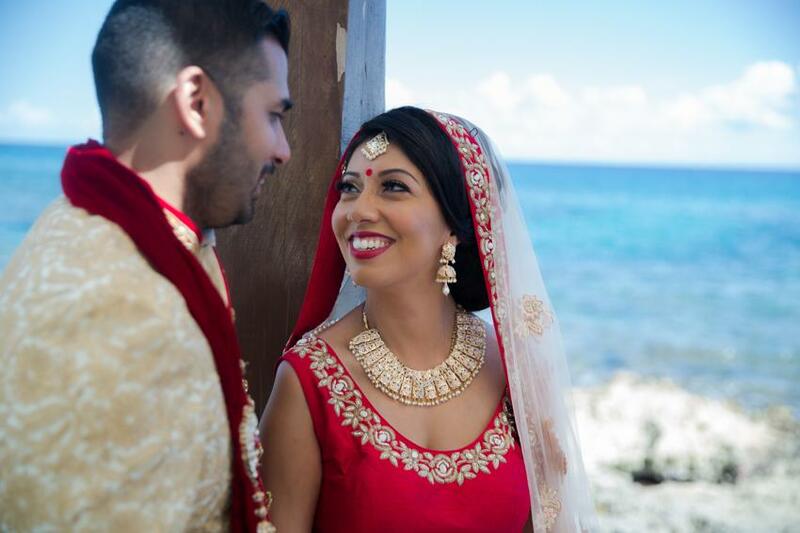 For couples getting married in the Caribbean, there is an opportunity to plan their weddings outside the summer timeline and a reason to getaway from the winter chills. 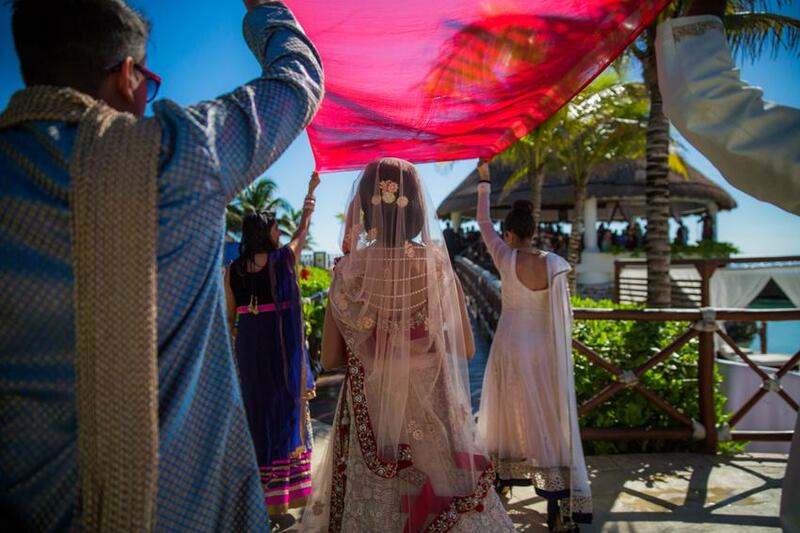 Every wedding story is unique in itself and it was an honor to be a part of yet another beautiful beach ceremony. 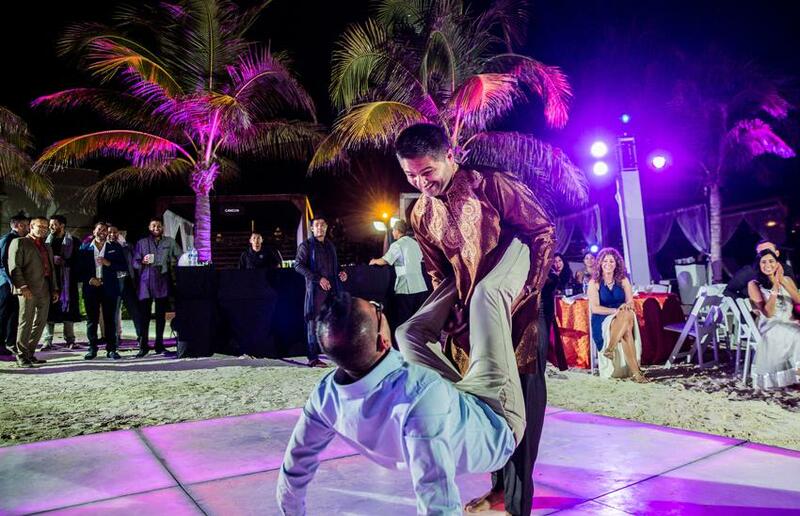 Hype travel organized the wedding party. 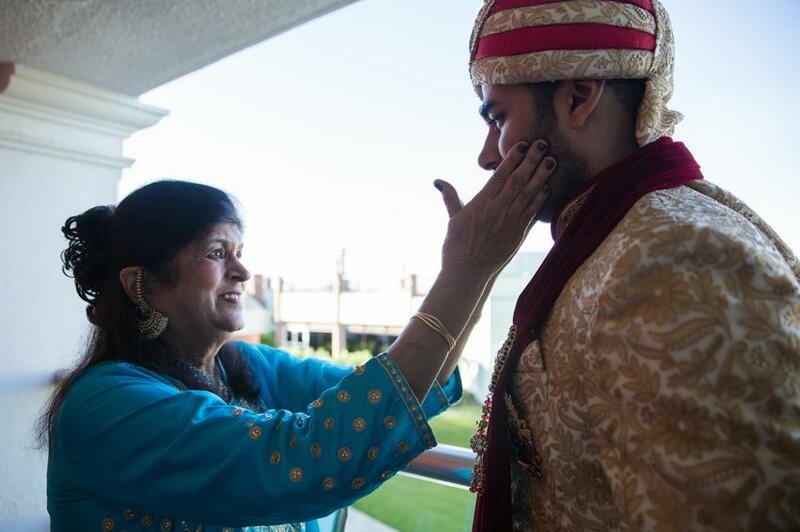 Family and friends flew from Toronto, Montreal, Vancouver, and Calgary. 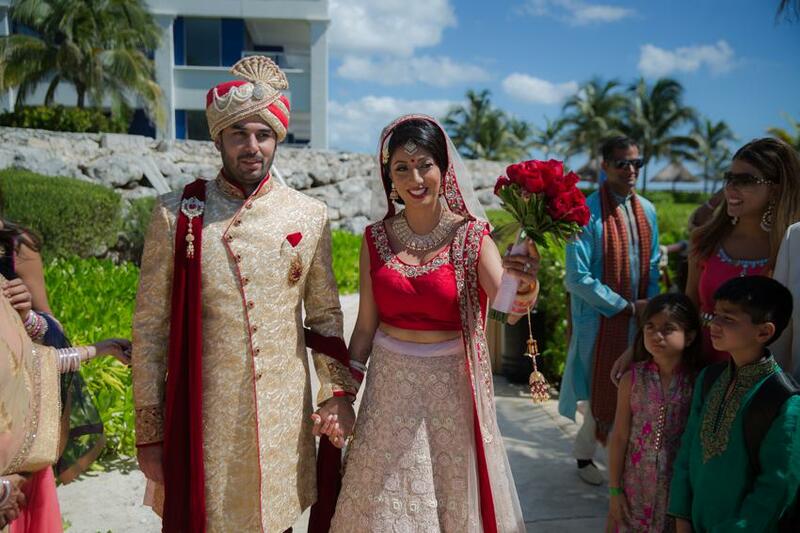 The wedding celebrations began on the flight to Mexico. 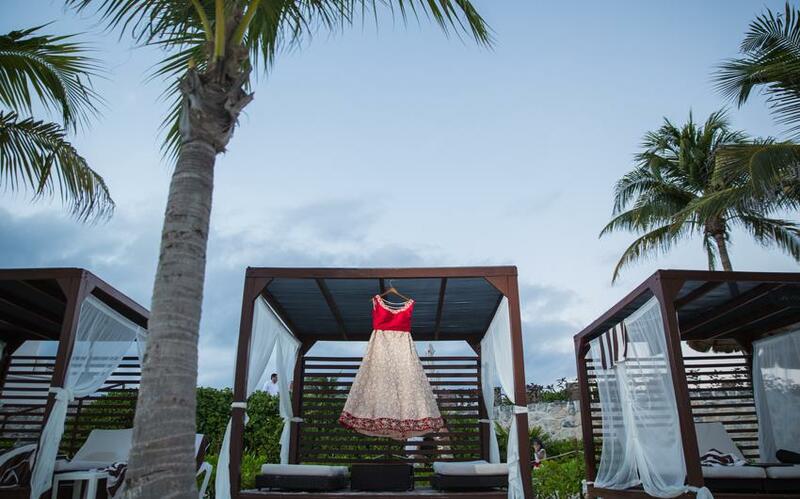 On reaching Hard Rock Hotel in Riviera Maya, our team began setting up photo shoot equipment. 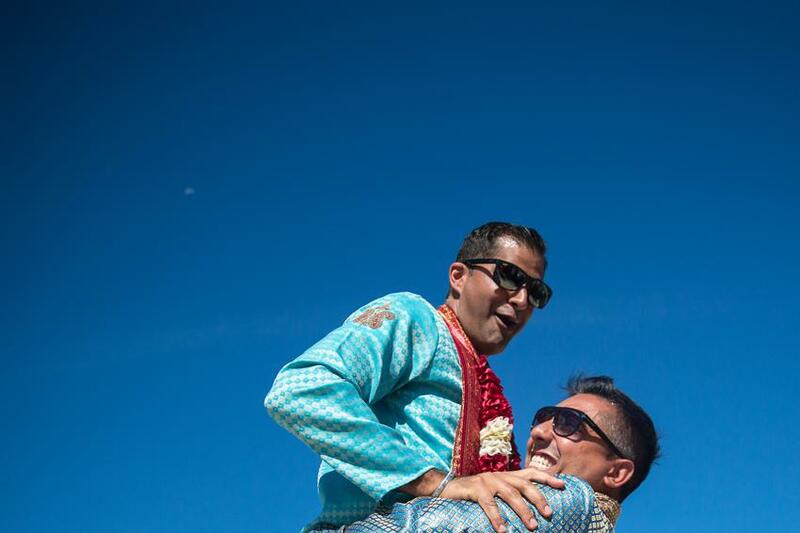 Important tip for couples, always fly your photographer at least one day prior to the first event. 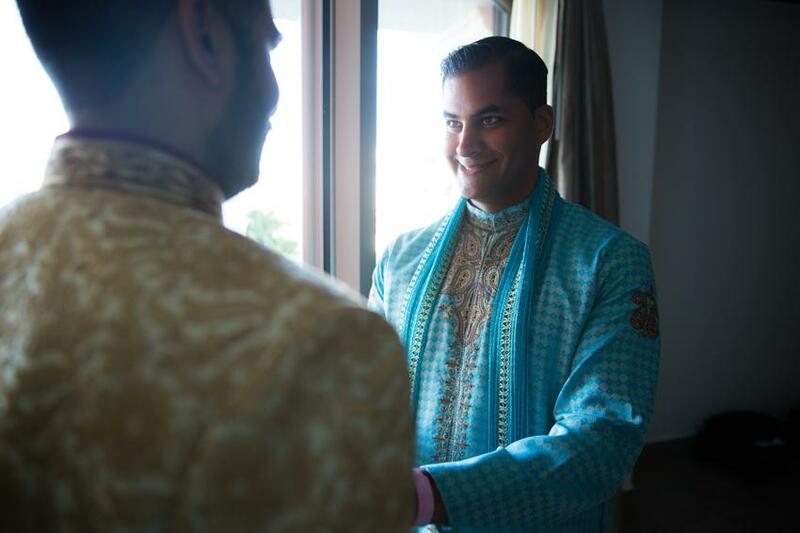 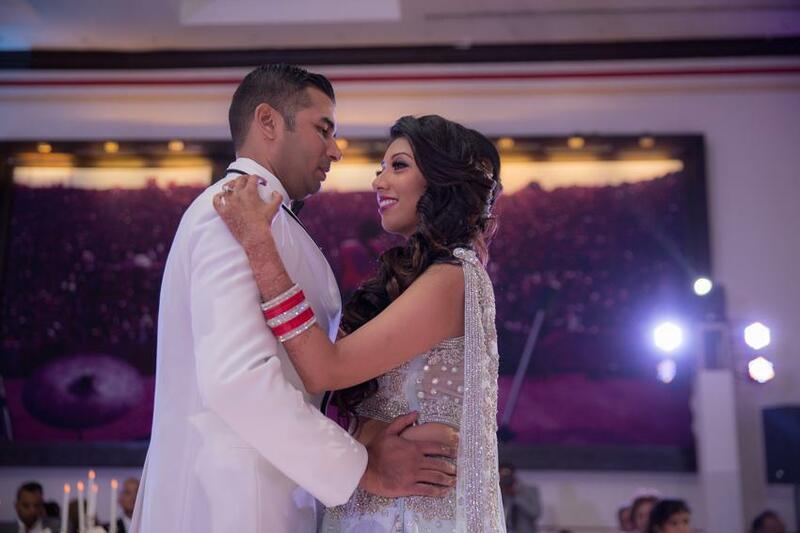 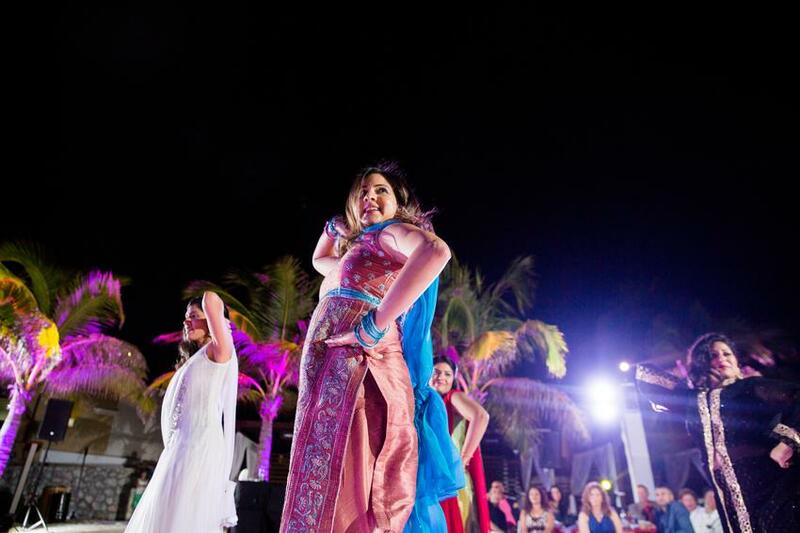 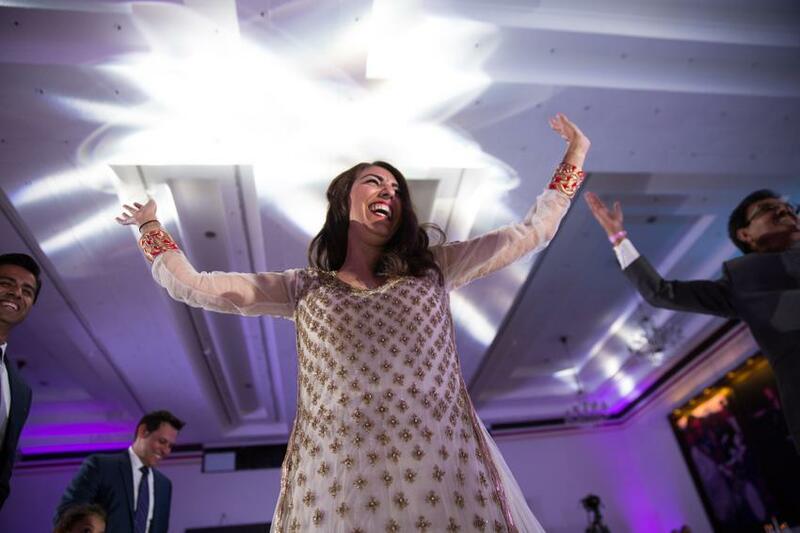 The first pre-wedding even was Sangeet which was at the Hacienda beach at Hard Rock Hotel. 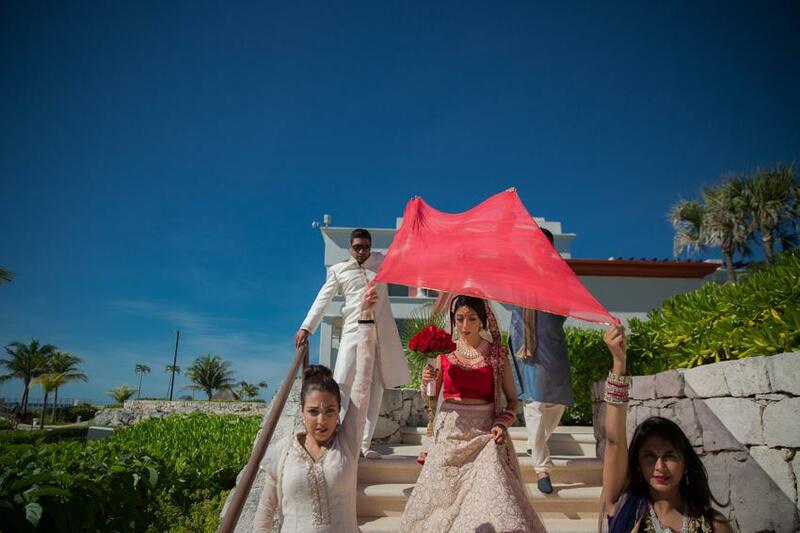 Hacienda is a man made beaches, which is popular among couples for pre-wedding events. 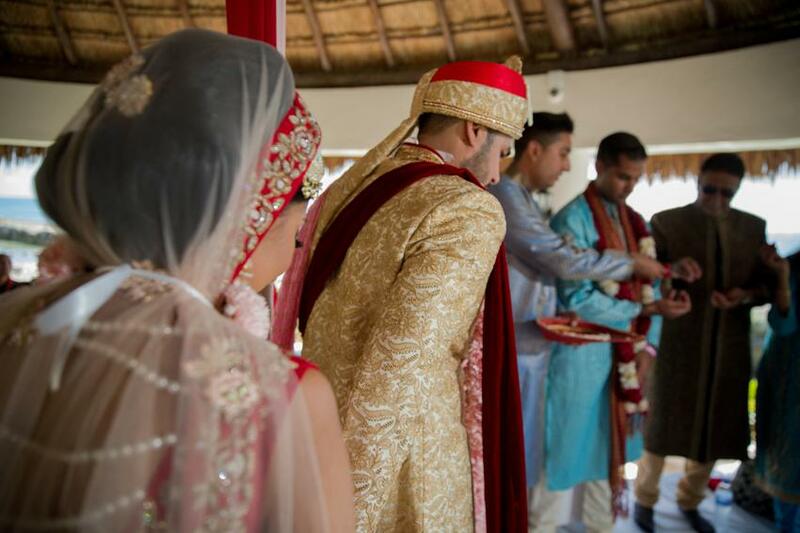 Although Sangeet or Mahiya are usually done separately for groom and bride but when planning a Destination wedding, it is best to organize events together. 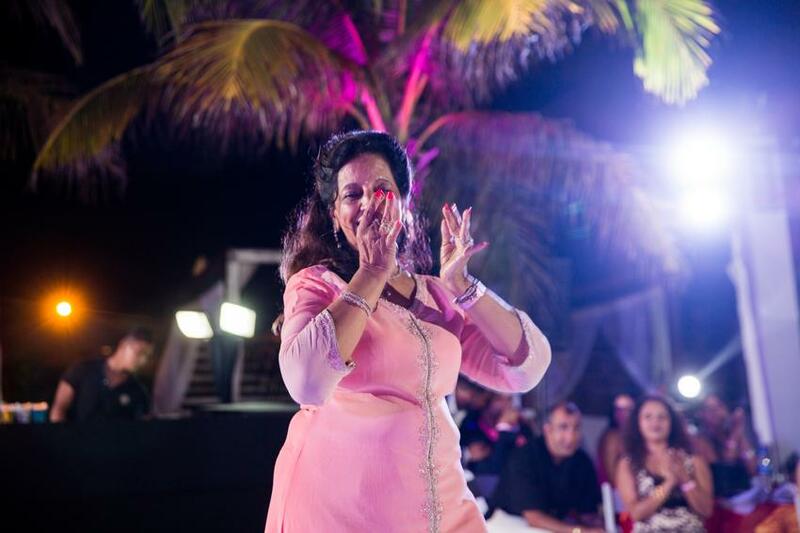 Roop and Vishal’s Sangeet started with a relaxed vibe, with kids playing in sand and adults munching delicious food. 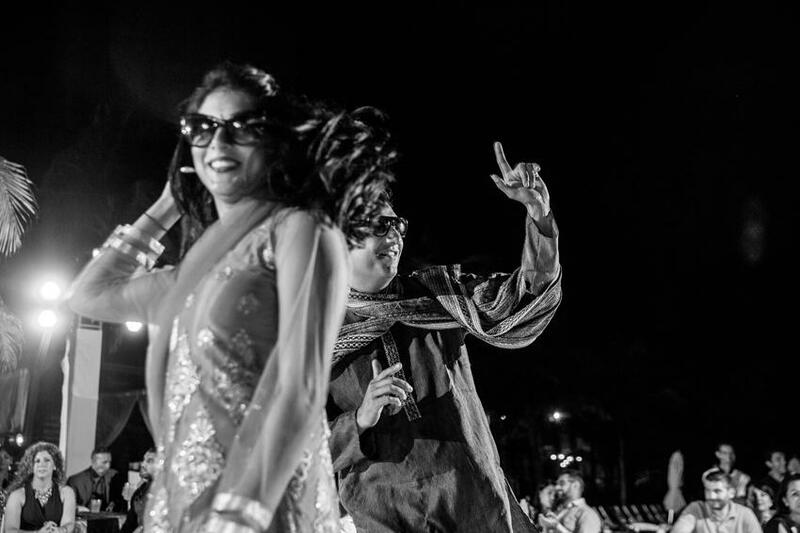 Once everyone was set in the mood, Girish from Shaadi MC invited Roop and Vishal’s friends to deliver their speeches followed by dance face-offs. 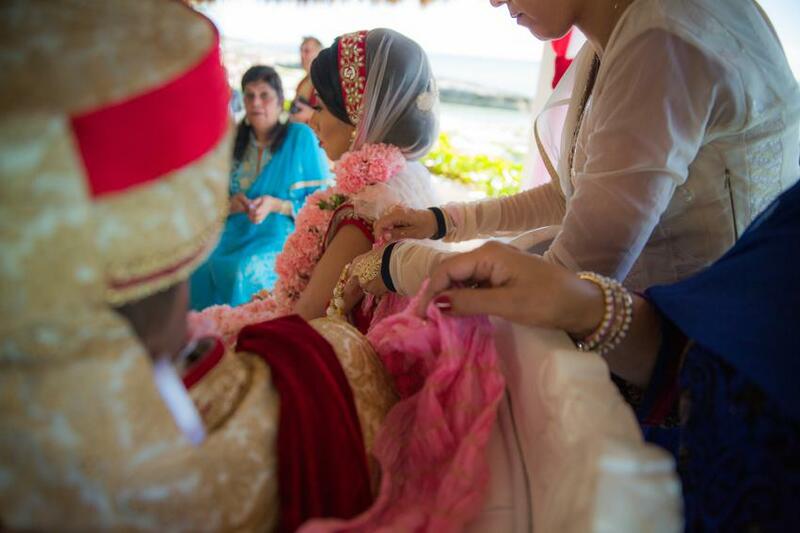 The best part about destination weddings is they bring out an amalgamation of cultures. 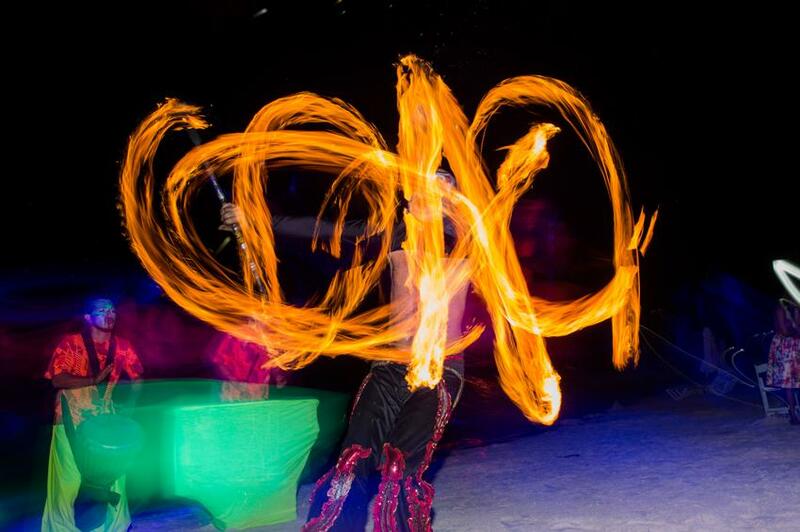 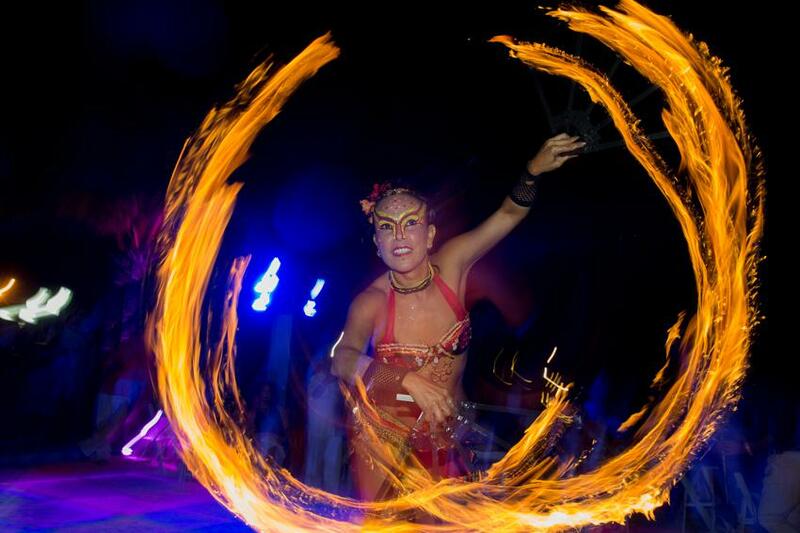 Mexican natives have a culture of dancing with fire. 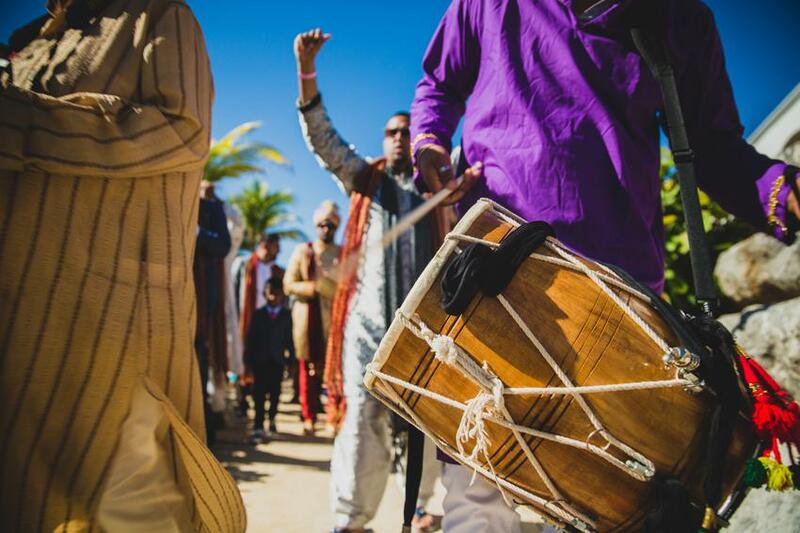 For this wedding, a team of 4 performers performed with their drums and lit fire which got the party rolling. 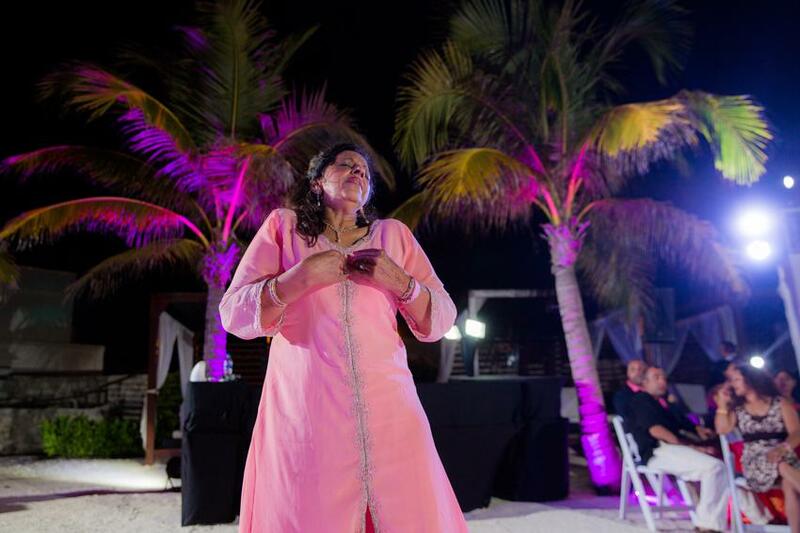 After the cultural performance by the natives, jaggo ceremony followed. 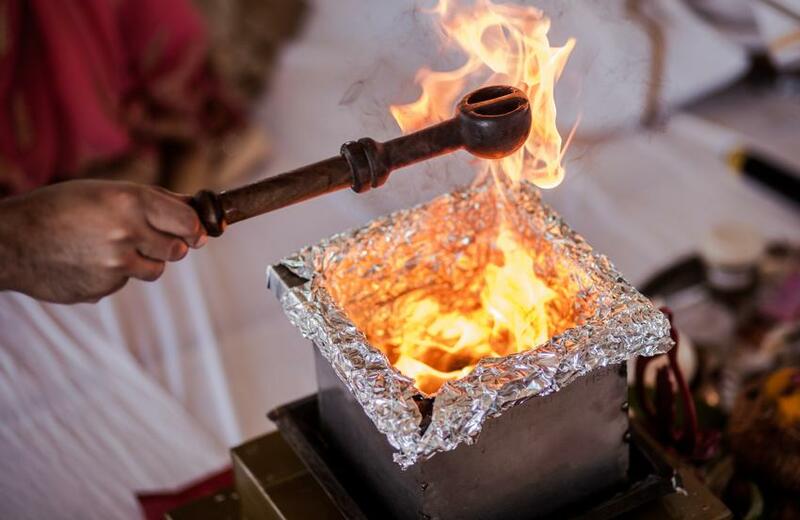 Jaggo, is a ceremony where a mud pot is lit with candles which is carried by women of the house prior to the wedding day. 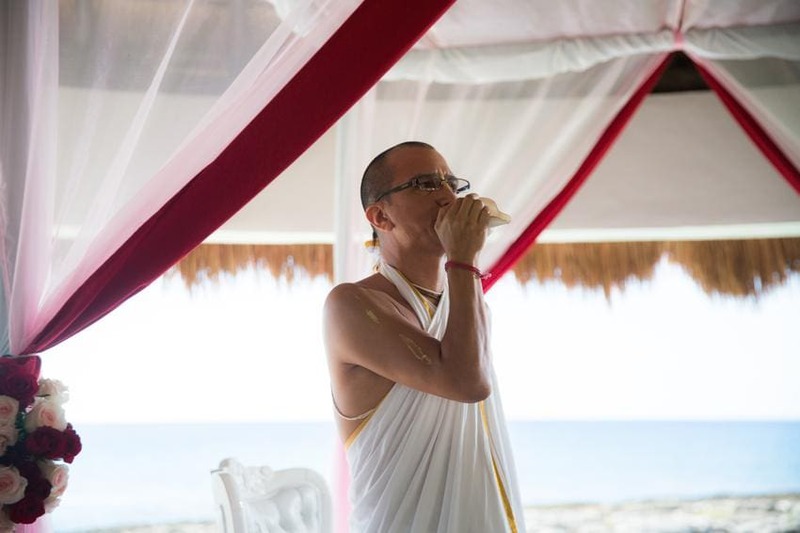 The idea of this ceremony is to invite everyone to join the joyous moment. 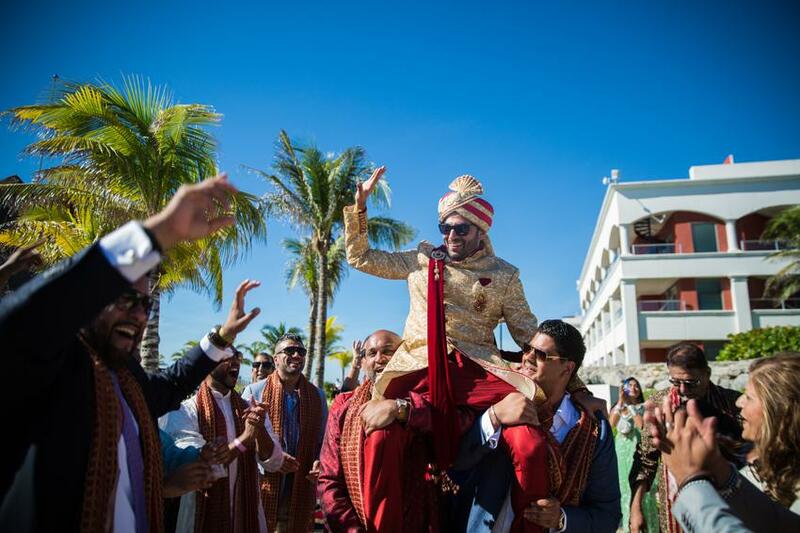 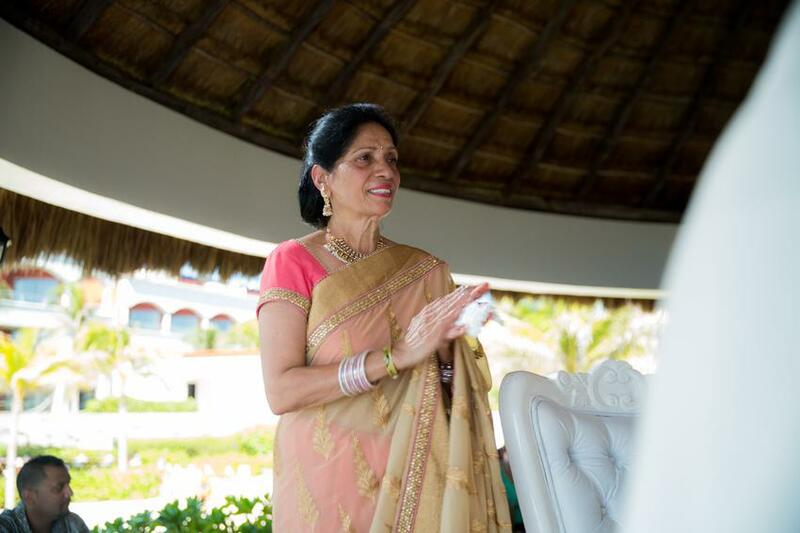 To make the most of this ceremony in Mexico, Dj Poojan played some heartthrob which got everyone in the groove. 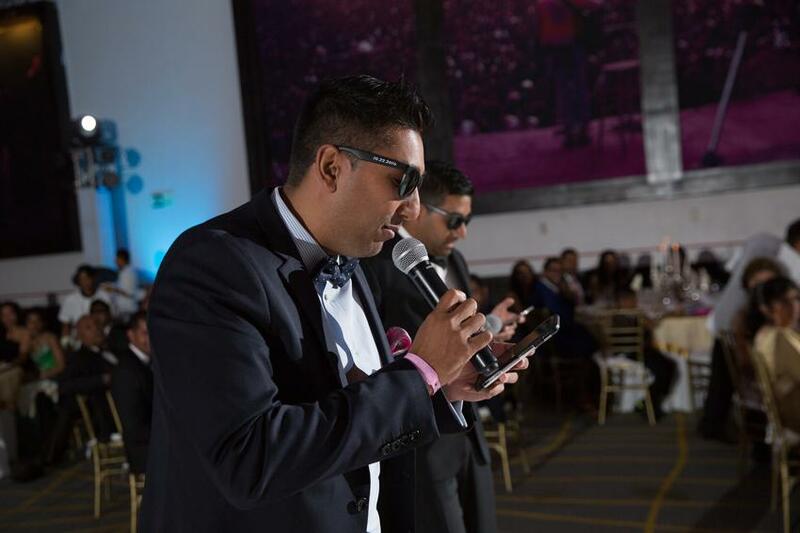 Credits to Shaadi MC, for a fun filled night. 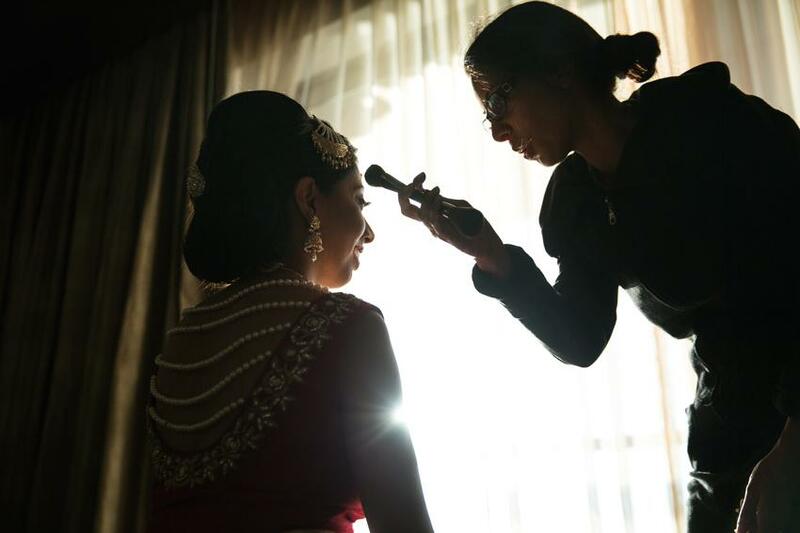 The morning begins with makeup artist Ruchika from Lesonne bridals, getting the bride ready at the presidential suite in Hardrock Hotel Hacienda. 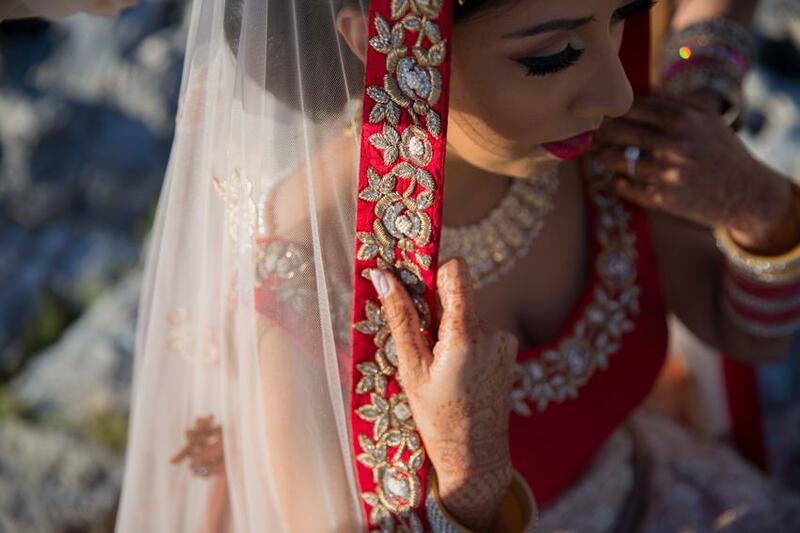 We took the time to shoot brides gorgeous red and beige dress, that had a gorgeous pearl finish on its back. 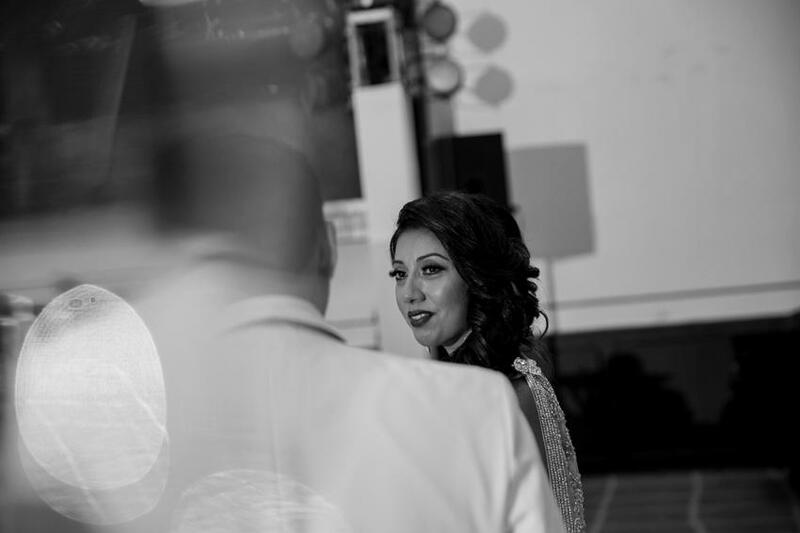 While the bride and groom were getting ready, we also took the time to capture intimate moments with family and friends. 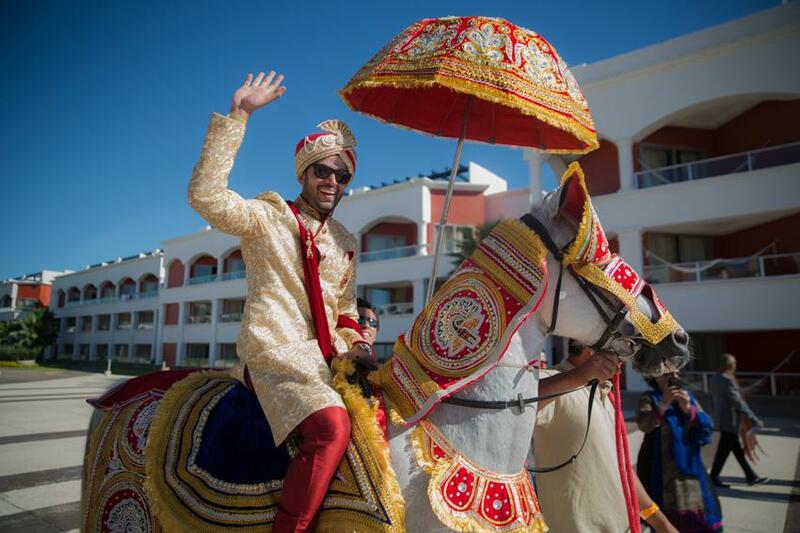 Drummers got everyone in the mood and wedding party began with the Baraat, the groom, arrived riding on a horse. 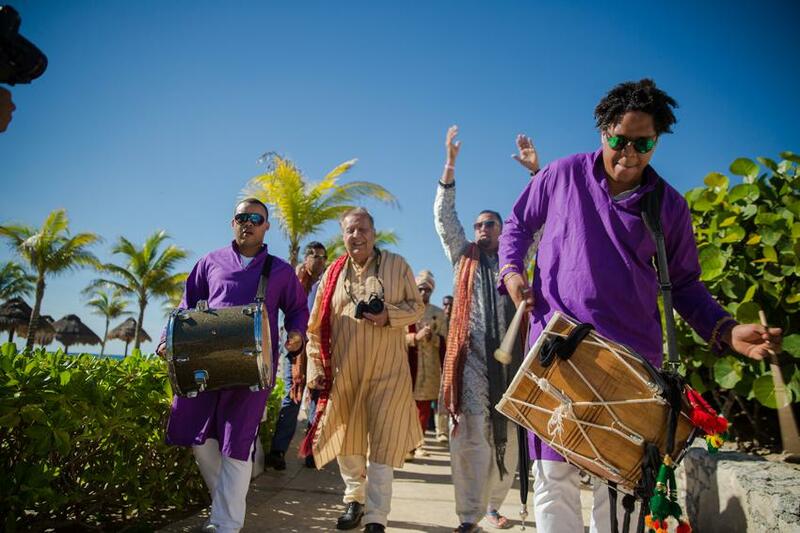 Baraat was right in front of the beach where the ceremony was to take place. 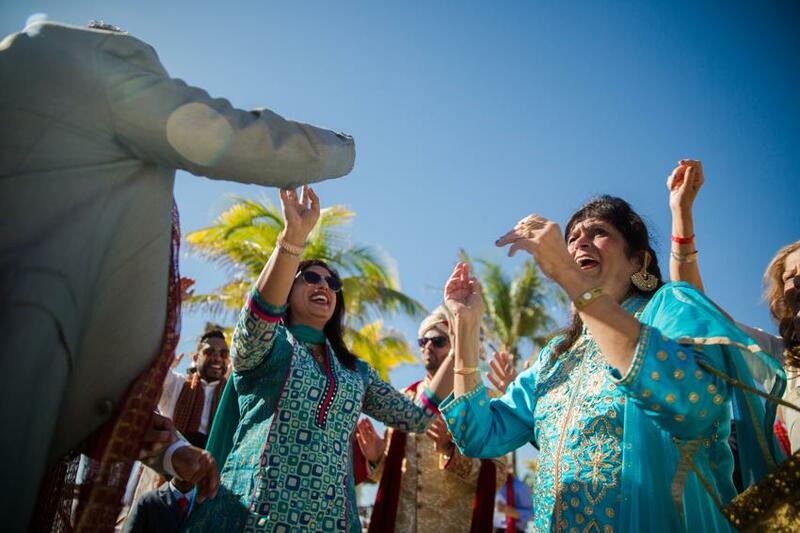 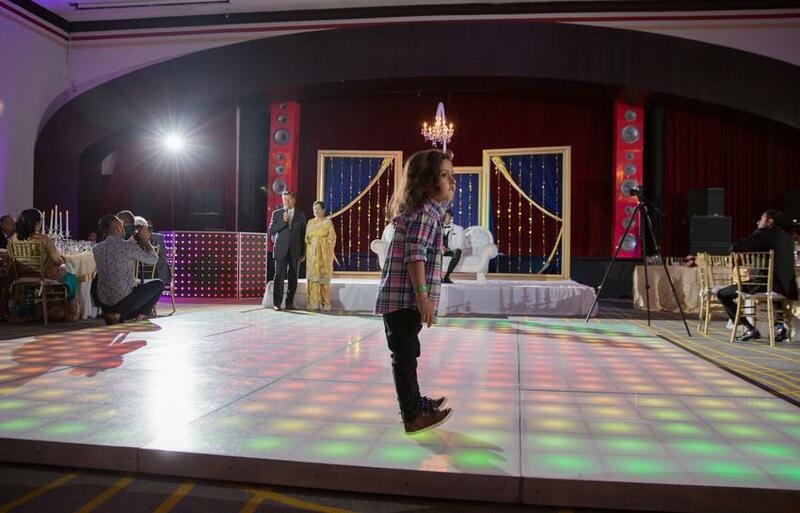 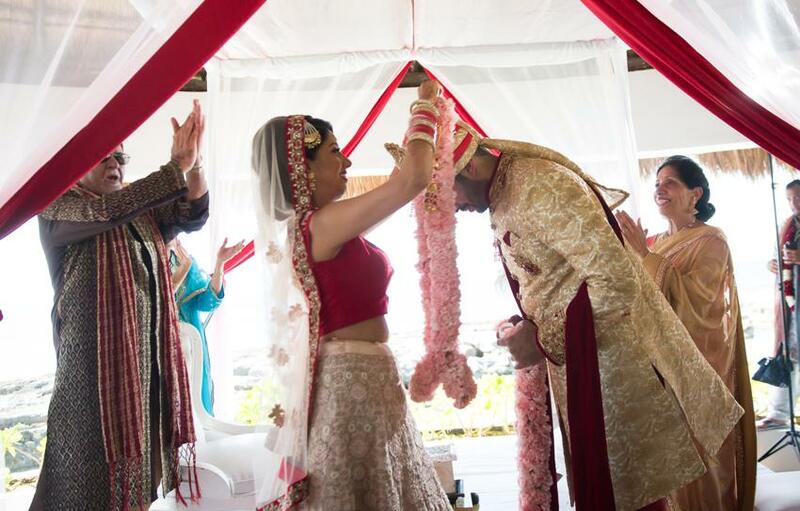 The groom jived to the beats and the Milni ceremony began. 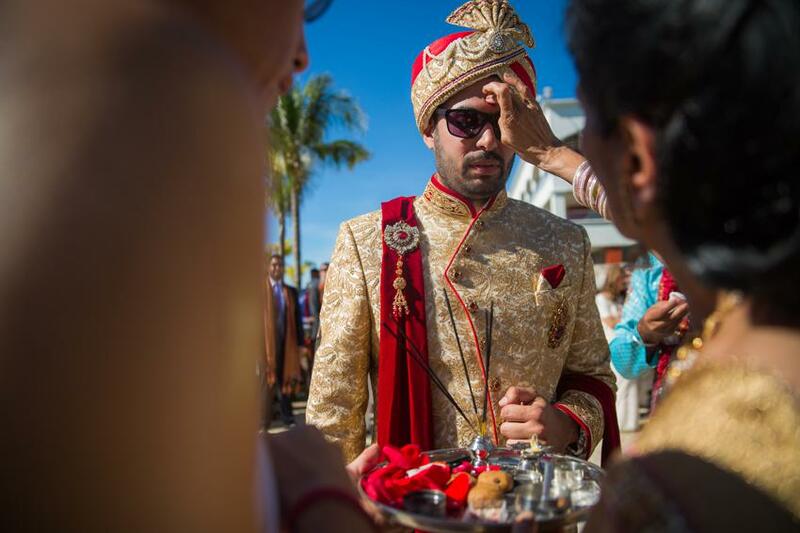 The bride’s mother welcomed her son in law with aarti. 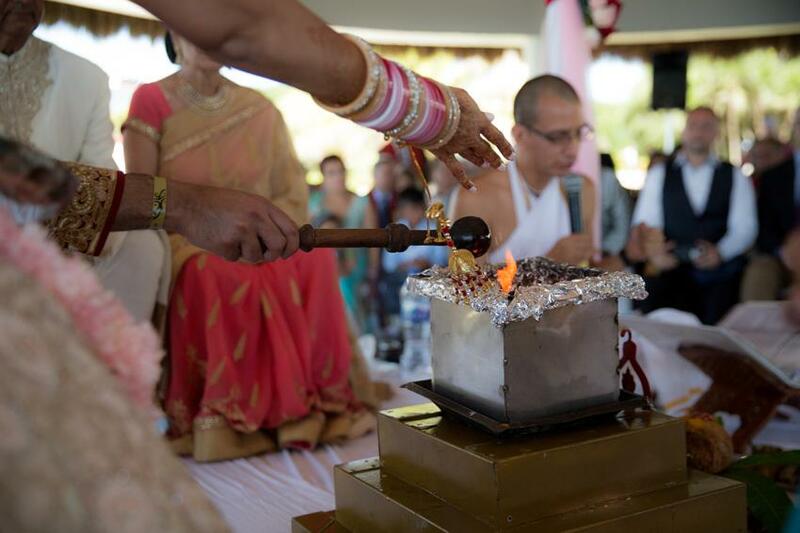 The priest blew the shank (Instrument used in Hindu temples) to invite the bride. 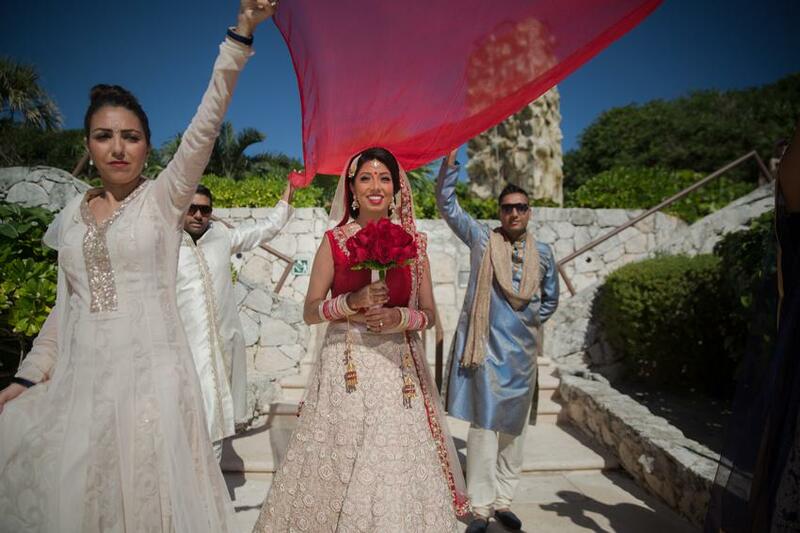 All the eyes turned towards the pathway between the green palms, the bride walked down the aisle in her beautiful red dress accompanied by her siblings holding her veil. 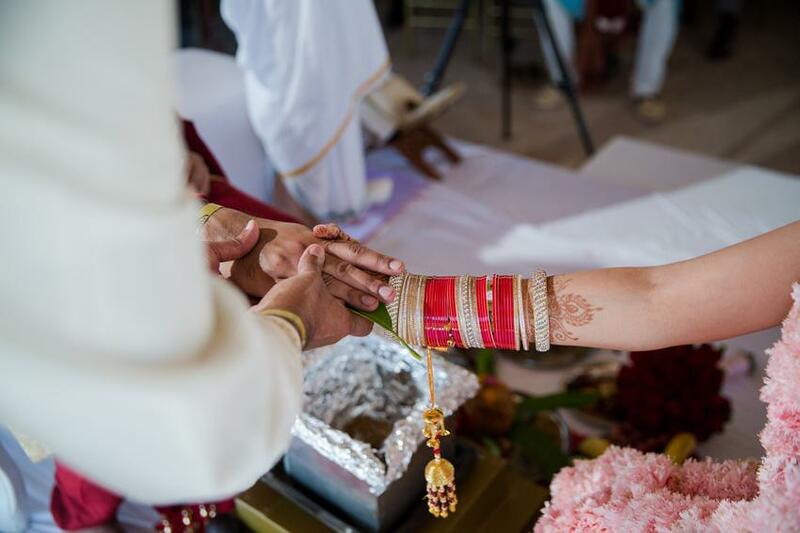 On reaching the mandap, Pandit requested the couple to perform the var mala ceremony. 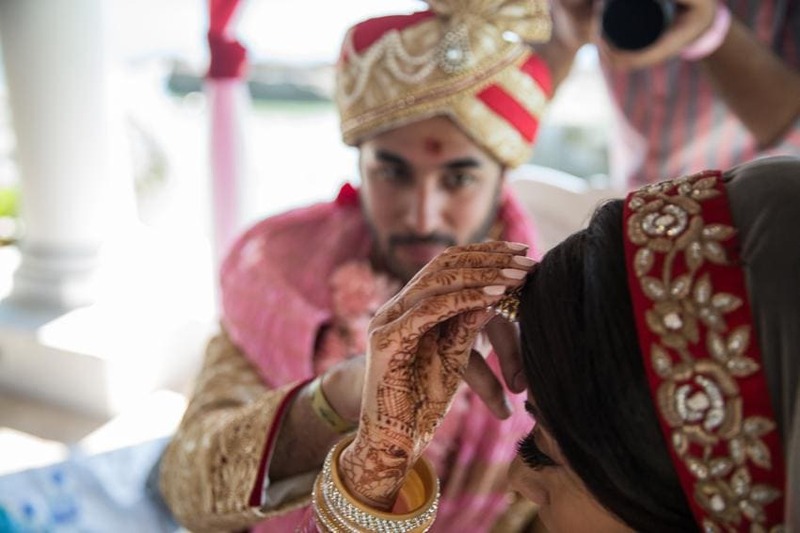 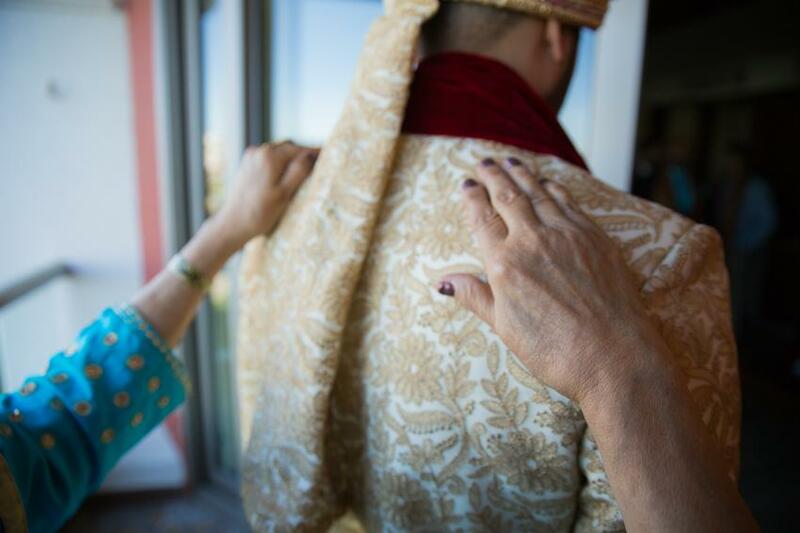 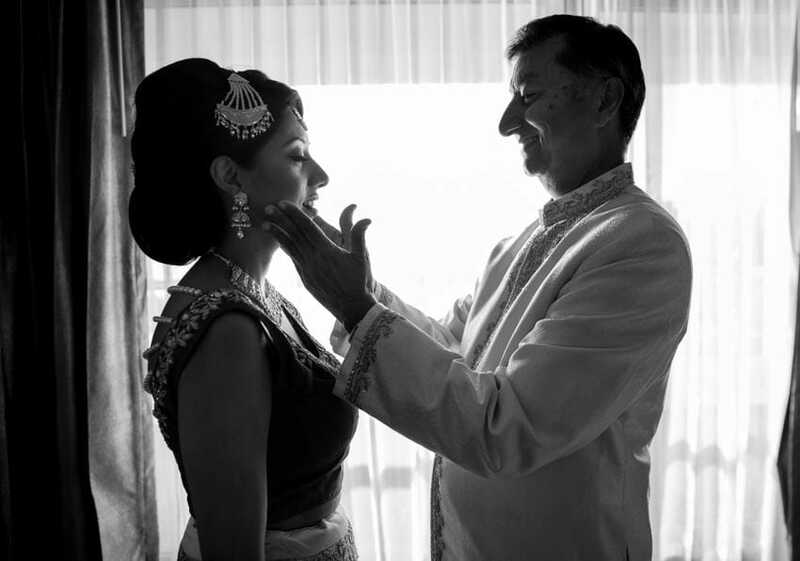 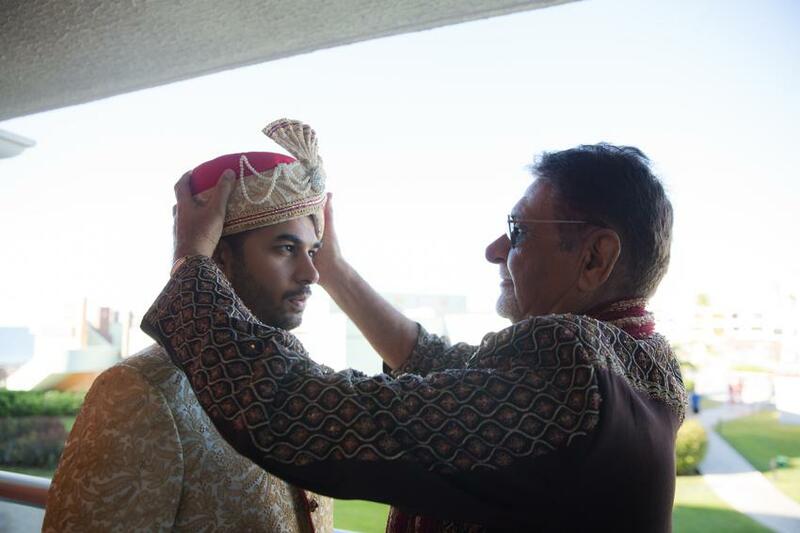 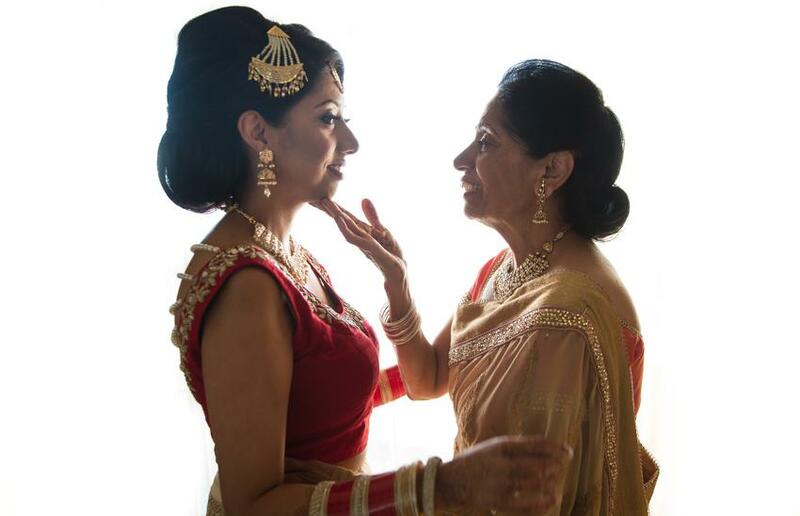 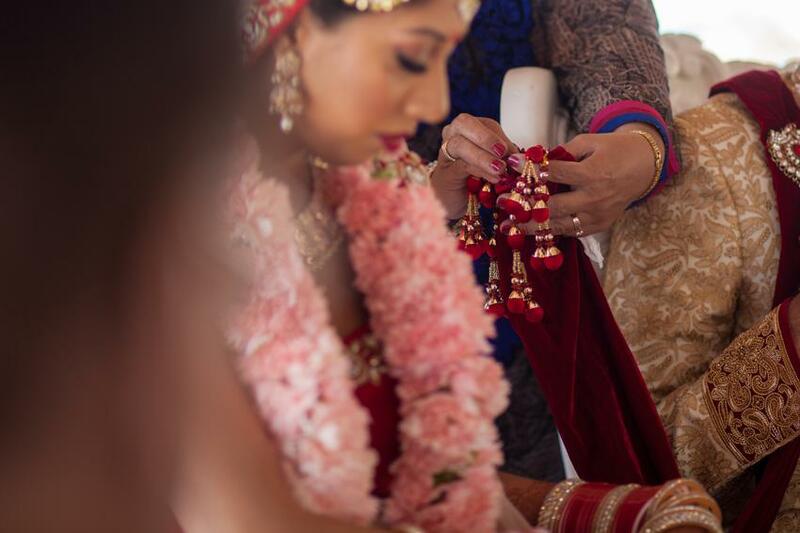 In Hindu and Sikh weddings, the bride’s father usually performs kanyadan ( giving daughters hand to a man), Mr Mudhar(brides father) performed this ritual. 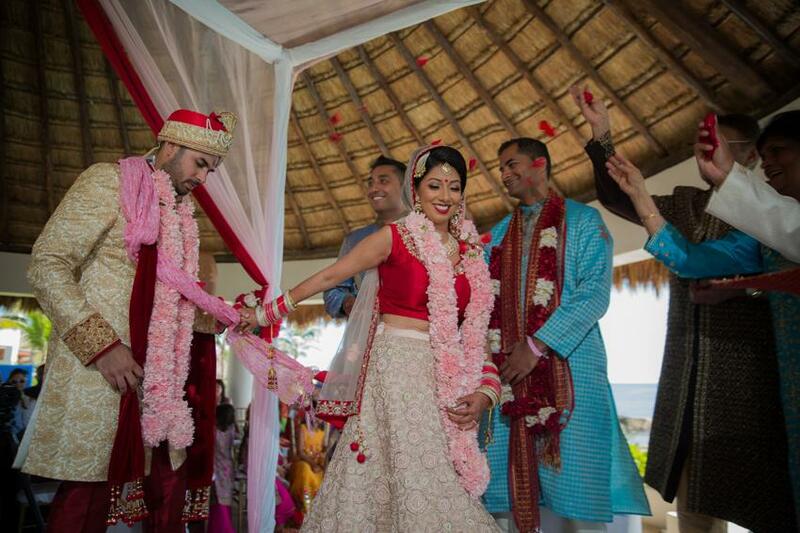 Grooms sister tied the knot for her brother and sister in law to be. 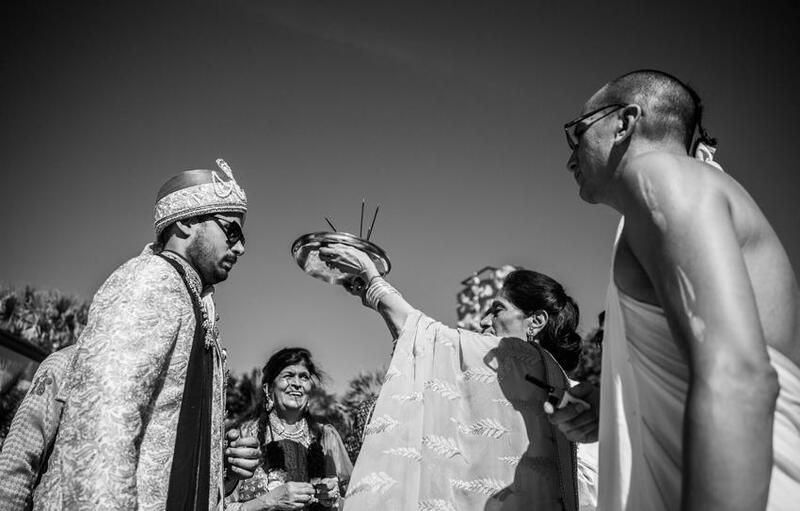 The couple performed the cultural ritual by taking their oaths and making promises around the holy fire. 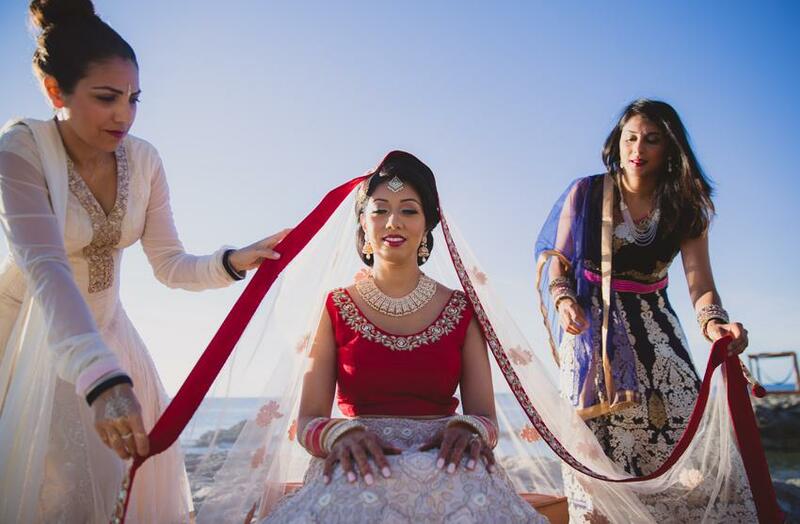 This Indian Destination Wedding ceremony was gracefully concluded by Pandit Ji and now it was time for some bridal portraits. 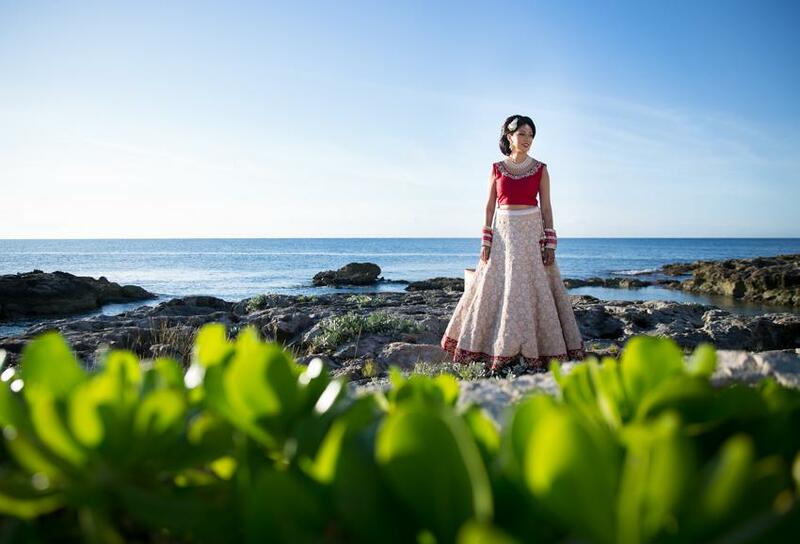 We typically ask couples to give us 60 minutes for their bridal images but since it was pretty hot weather, we shot for about 30 minutes next to the water at Hardrock hotel. 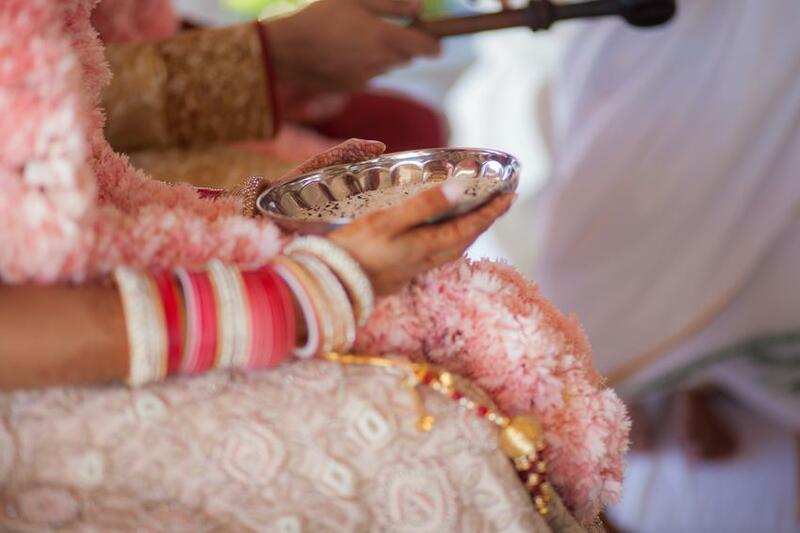 It is recommended to stay a day after the ceremony to for bridal shoots. 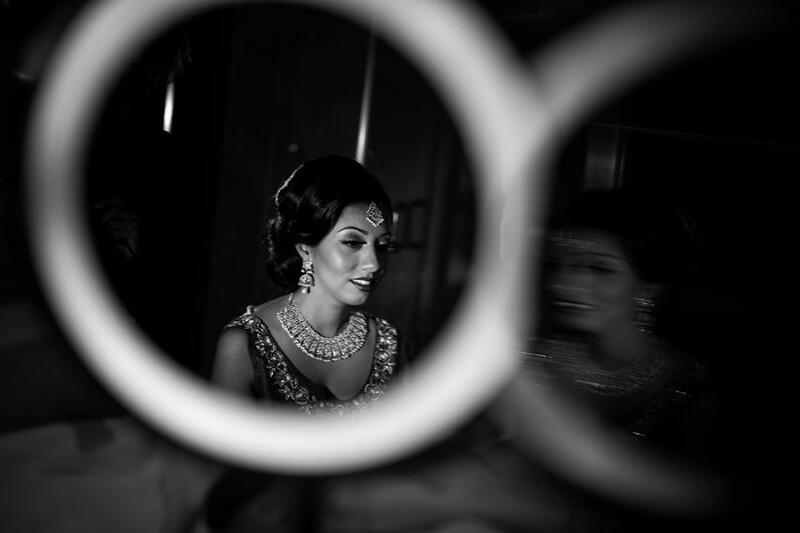 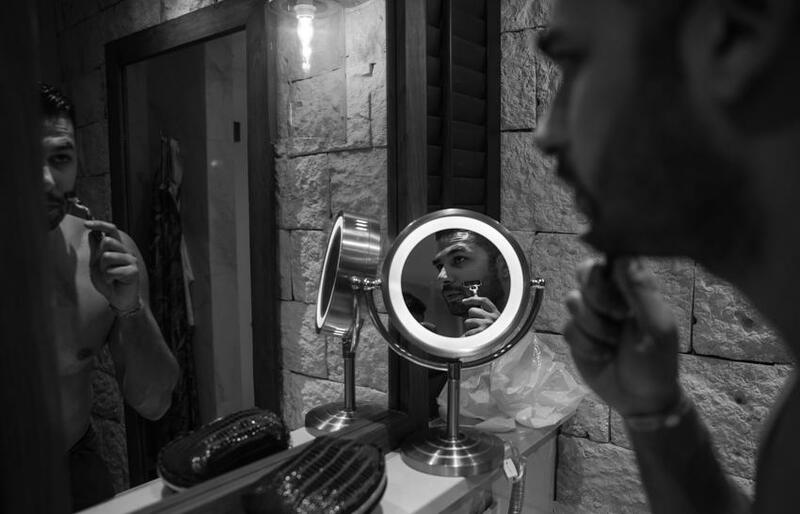 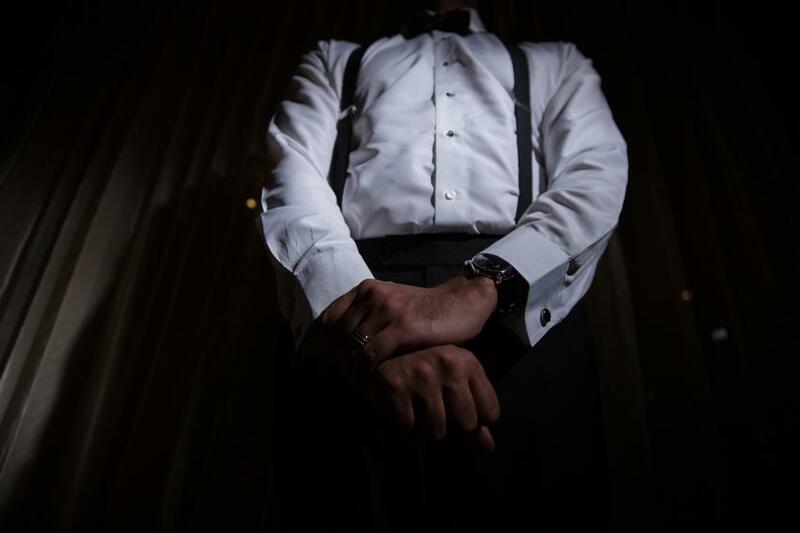 We had the opportunity to capture some getting ready moments prior to the reception party. 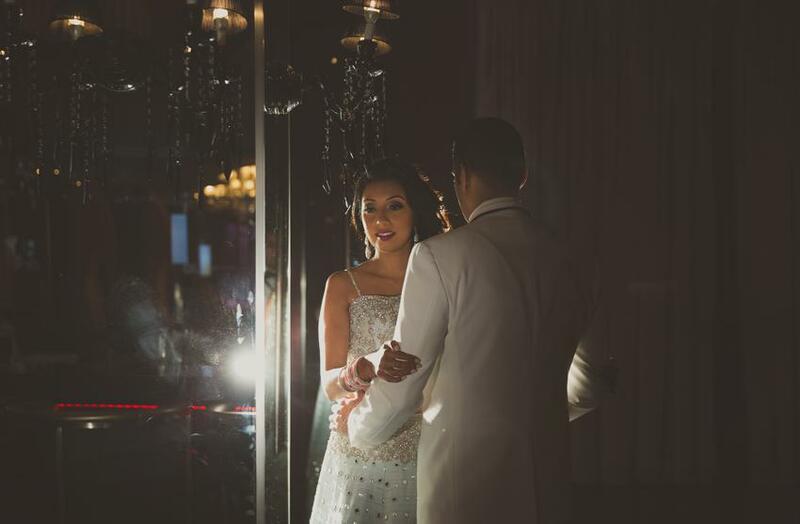 Since Hard rock hotel has beautiful interiors and we wanted to incorporate that in the photographs we took the newly weds to Hard Rock Hotels Heaven, Heaven is a club and a non kids zone. 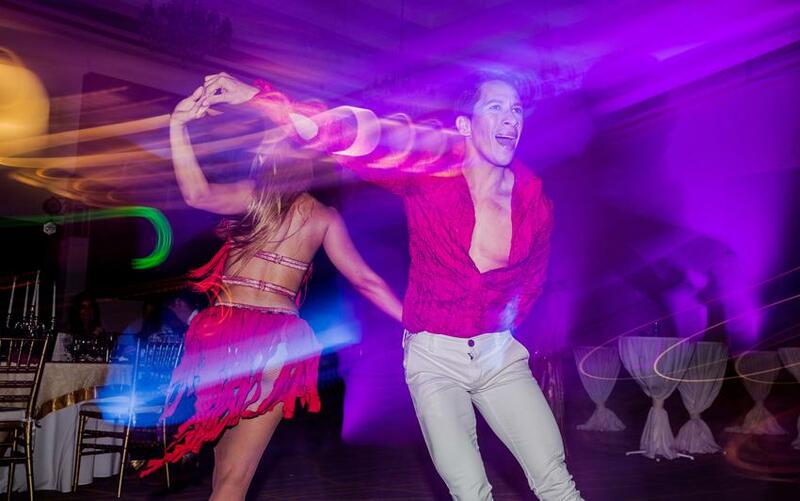 The club has a vintage and royal feel. 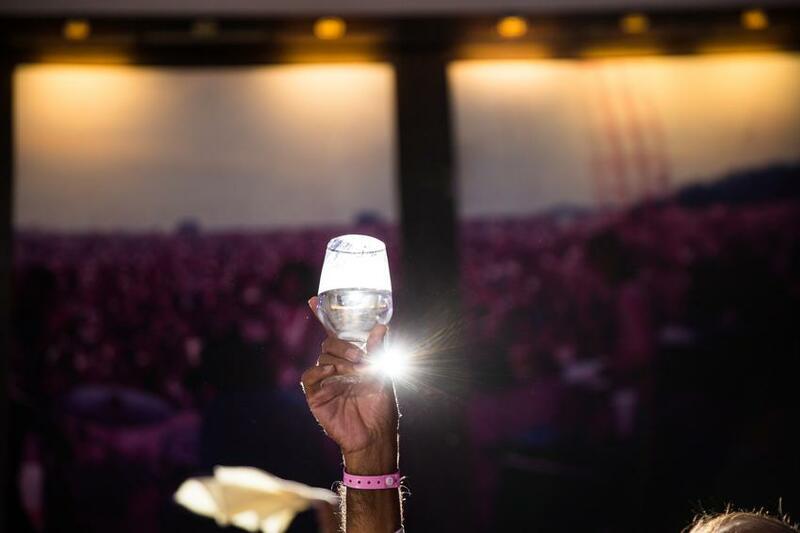 As the evening progressed, cocktail hour was underway paired with a variety of gourmet food.